Corbyn: Public vote an 'option to break deadlock' Jump to media player Jeremy Corbyn calls for a second Brexit vote, saying Theresa May's Brexit deal was 'no longer viable'. Labour MP urges Corbyn to back 'People's Vote' Jump to media player David Lammy says the Labour leader risks "splinters" if he doesn't back another vote. 'Campbell got Remainers barking up wrong tree' Jump to media player Remainers have struggled to get Leavers to back their campaign for a new EU referendum and there is not enough support for a fresh vote, says Michael Walker. 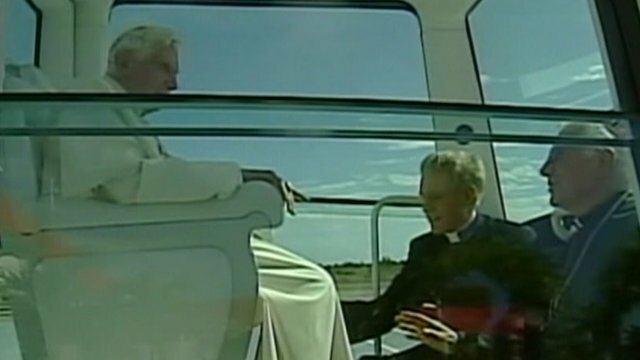 Pope tells Cuba communism has failed Jump to media player Pope Benedict has arrived in Cuba at the start of a three-day visit. And he said Mr Corbyn should call for a new EU referendum as a "declaration of war against against neo-liberal Europe”.